iZZi Gadgets, has announced today it will be joining forces with Skateistan.org and the Stronghold Society for Phase 1 of the Connect the Dots Project. The Connect the Dots Project is the first-ever cultural exchange between the boys & girls students of the Skateistan skateboard school in Kabul, Afghanistan and Lakota Native American boy and girl skaters from the Pine Ridge reservation in South Dakota in the United States. The project includes coordinating and producing skate decks, products and various other cultural products and art that can be exchanged in a peaceful attempt to bridge cultural and gender gaps by utilizing something both groups have in common…skateboarding. These are two of the most impoverished groups with very little means that have found time and energy to help one another ½ a world away with what they have at their disposal. 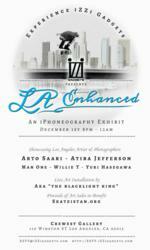 iZZi Gadgets and Skateistan.org will collaborate with a special event titled, “LA Enhanced,” on December 1 at the Crewest Gallery in Downtown Los Angeles. 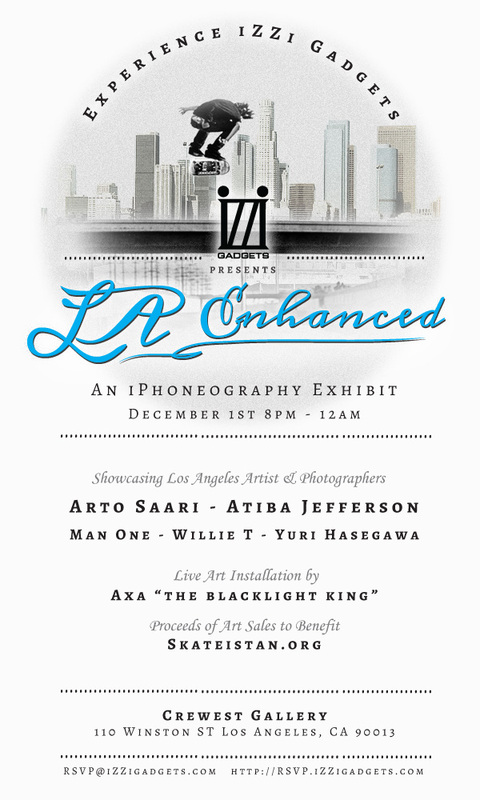 The event will showcase photography using iZZi Gadgets by artists, skaters and photographers including Arto Saari, Atiba Jefferson, ManOne, Willie T and Yuri Hasegawa in conjunction with Skateistan and the Stronghold Society. Proceeds from sales of the prints will be donated to the Connect the Dots project. For more information visit: http://www.izzigadgets.com, http://www.crewest.com and http://www.skateistan.org. Izzi Gadgets, Inc. is a premium mobile accessory manufacturer based out of California. 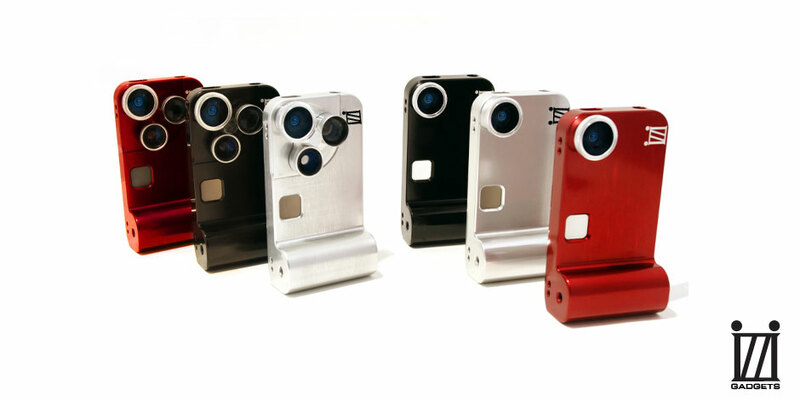 We produce state of the art camera/video & casing accessories for mobile phones and tablets. iZZi Gadgets is committed to environmental stewardship; all of its products and packaging are designed with an effort to reduce the impact on our planet. Skateistan is an International non-profit charity providing skateboarding and educational programming in Afghanistan, Cambodia and Pakistan. Skateistan is non-political, independent, and inclusive of all ethnicities, religions and social backgrounds. Skateistan works with youth ages 5-18 to use skateboarding as a tool for empowerment; giving young people a voice and a healthy alternative to crime and war in poverty stricken areas. For additional information visit, http://www.skateistan.org.